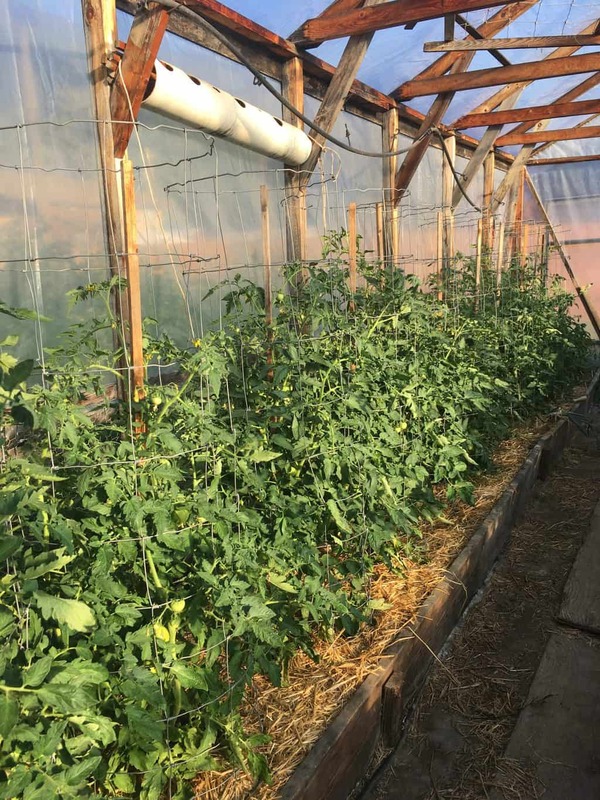 Although we use our 20×20 unheated greenhouse for year-round growing, our goal is to build a wooden one too. 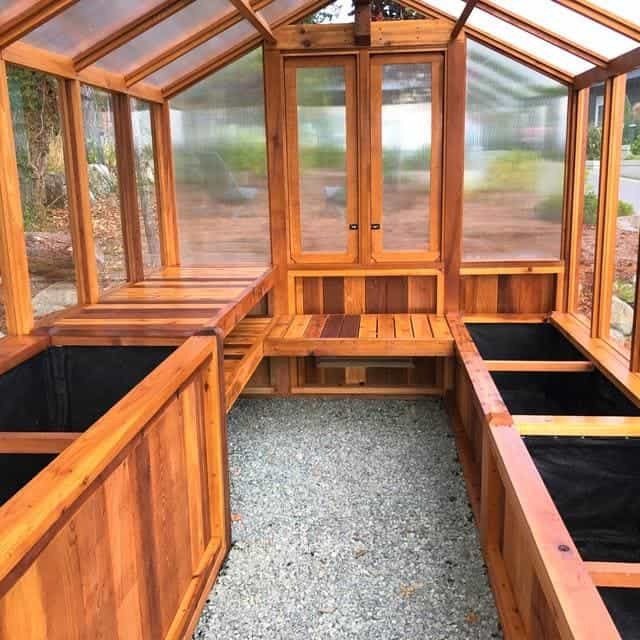 A lot of the wooden greenhouse have a base of wood at the base, instead of your typical roll up sides. The air ventilation occurs from opening top windows instead. Some gardeners mostly use them for seed starting, others will grow full sized plants like tomatoes in them. Our goal is to build one mostly for seed starting. 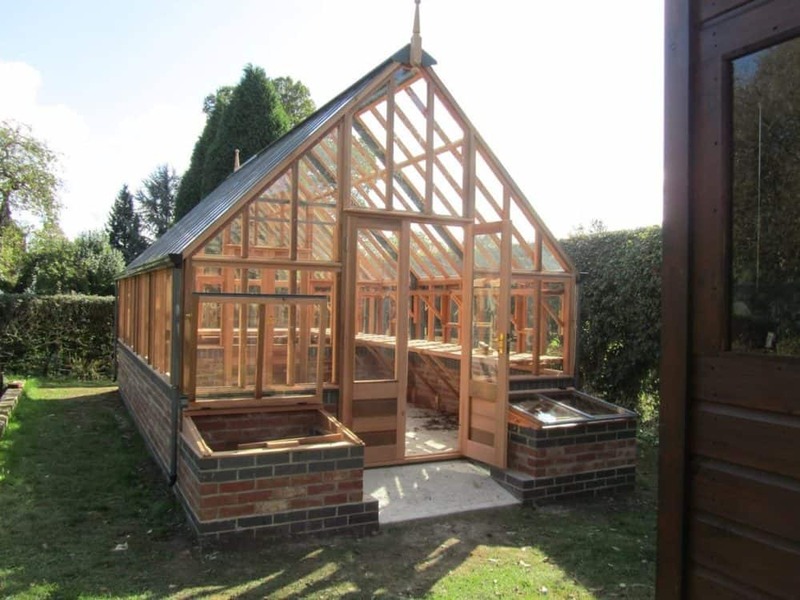 Many wooden greenhouses will include raised beds on the edges which is build into the frame. 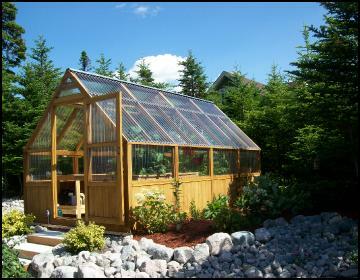 A great place to get greenhouse plans is Hobby Greenhouse which offers pdfs. 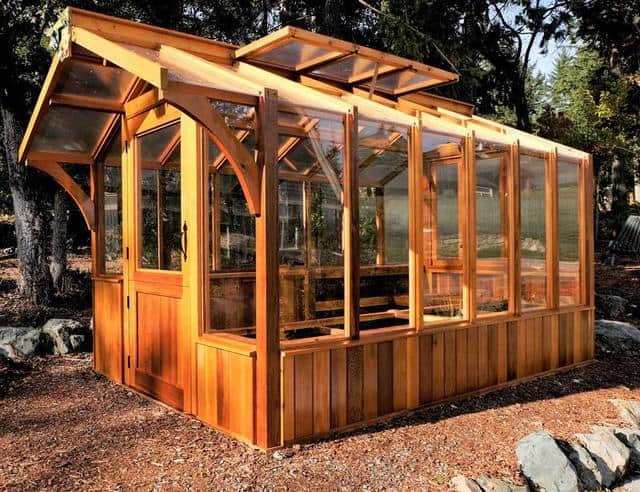 Gabriel Ash offers many great greenhouse designs and you can design your own! I love that Gabriel Ash even shows your greenhouse pdfs to understand the size and dimensions of your chosen greenhouse. 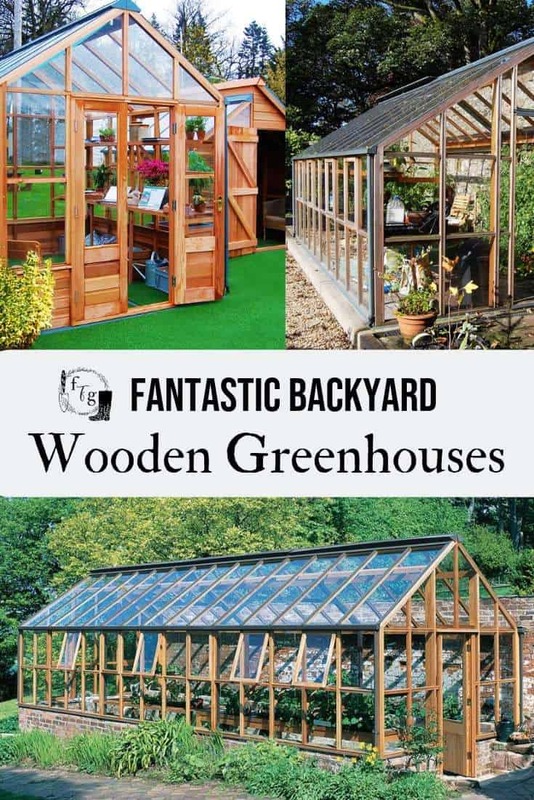 Depending on where you live, there might be someone locally that makes wooden greenhouses. 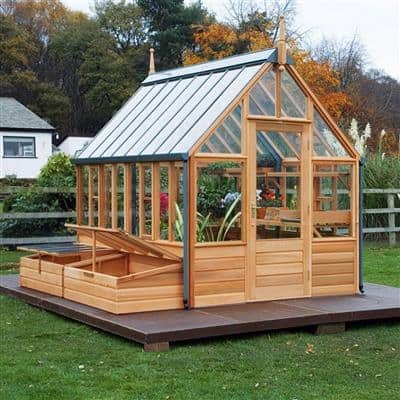 They will either sell you a greenhouse kit that you build, or, some might offer installation for you. Try googling your location and wooden greenhouse. Some companies that sell greenhouse kits can likely ship many places, but check for shipping prices. Summer Greenhouses (below) in the UK offers many greenhouses and ships. Greenhouse Kit or DIY greenhouse? In general, if you buy a kit it can get expensive, especially if it’s shipped far. 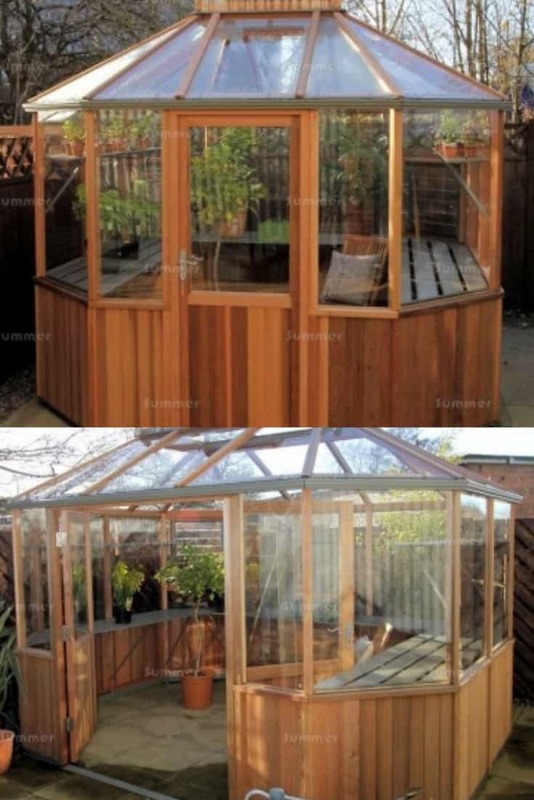 It can be cheaper to buy your own wood and make your own DIY greenhouse. Cedar is common to build raised beds or greenhouses because it lasts longer and doesn’t rot as quickly. Cedar wood however, can definitely cost more in upfront cost, but because it lasts longer it’s a good investment. Remember the fancier your designs are, the more it costs too. 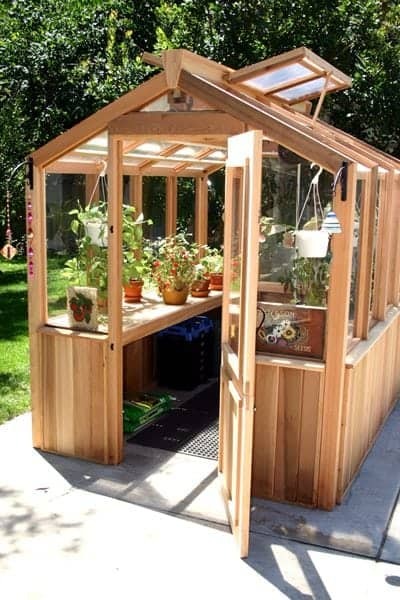 I hope to share our wooden greenhouse once we build it! 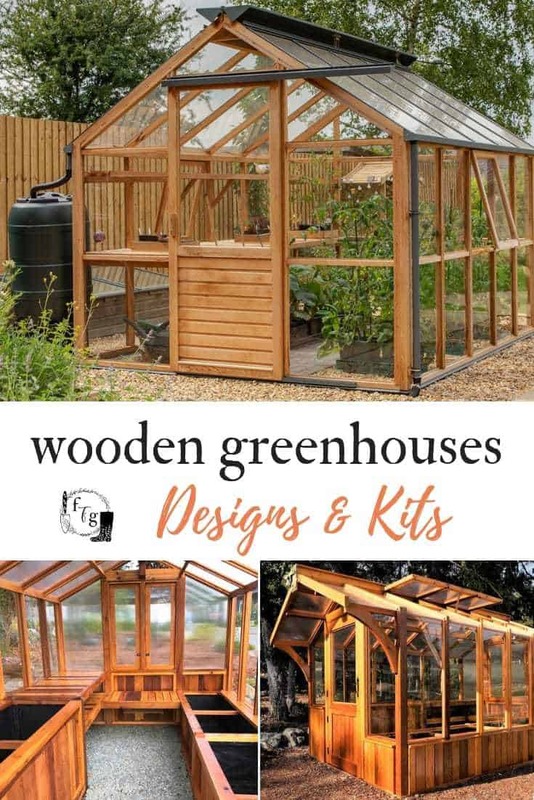 Do you have a wooden greenhouse?